Adderall is quickly becoming one of the most commonly abused prescription medications in the United States. However, recognizing Adderall abuse in your loved one can be difficult. The following is a list of five signs to help identify a loved one who is abusing Adderall. Adderall is a stimulant, usually prescribed to individuals struggling with Attention-Deficit Hyperactivity Disorder (ADHD), because it helps a person maintain focus. It has been used to help people lose weight and also to treat narcolepsy. It is a highly addictive drug, and should only be taken as prescribed. However it is commonly abused by people who are not commonly recognized as individuals who abuse drugs. Spotting an Adderall addiction is not a simple task. Many people who abuse Adderall are college students, professionals and young adults. These groups seem to be using Adderall as a performance-enhancing drug, similar to an athlete with steroids. These individuals do not seem to begin abusing Adderall recreationally, they seem to be making an attempt to ‘get things done’. Abusing a powerful stimulant like Adderall can make a person appear driven, focused, and even successful. 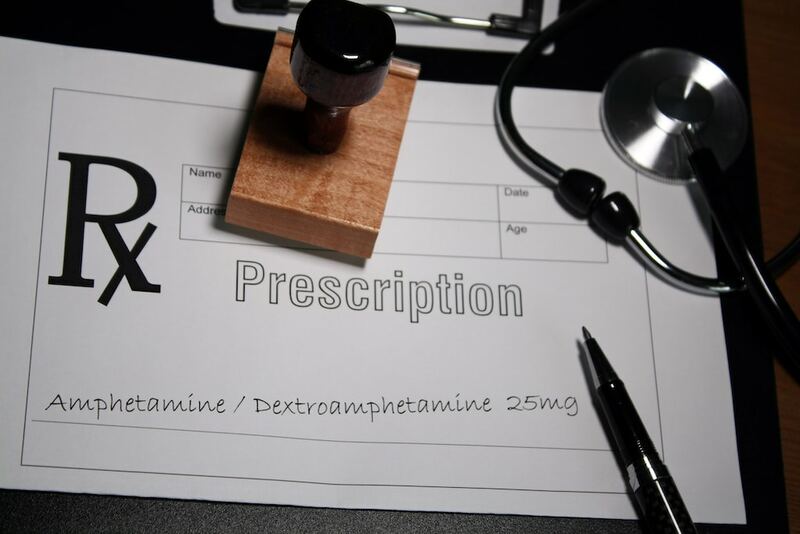 Over time, however, other standard signs of addiction begin to emerge, and this medication has the potential to do what every other substance of abuse eventually does, ruin the life of the person struggling with the addiction. Fortunately, there are some early indicators that a person may be abusing Adderall. An inventory of your loved ones recent behaviors and activities can help determine if they may be struggling with an addiction to Adderall. And similar to other addictions, there are ways to help your loved one if they are abusing Adderall. It is important to be able to recognize the signs of Adderall addiction. Adderall abuse usually begins when a person recognizes that taking Adderall helps a person focus, gives them extra energy, and reduces appetite. When misusing Adderall, a person may think that if a little Adderall helps a little, more Adderall will probably help a lot more. As time goes on, a person may begin to feel overwhelmed and unable to complete tasks they have committed to. Eventually, this can result in job loss, family problems, or any number of devastating consequences. constipation, diarrhea or other stomach issues. A trained professional may notice additional symptoms that could go unnoticed by others. Adderall abuse can also increase body temperature and cause problems with breathing, heart rate, and blood pressure. Instead of the person keeping their medication at home with other medications, loose Adderall pills might appear in their vehicles, pockets, plastic baggies, cellophane from cigarette packs, or other unusual places. This may occur because the person feels like that have to take their medication more often, or because they have purchased the pills illegally. Sometimes, a person struggling with Adderall addiction may have several prescription pill bottles without labels, or the labels have different names on them. They also may keep Adderall inside other medication bottles. Most of these items, as well as other flat surfaces (like mirrors, counters, dressers and tables) may be covered in a light coat of a powdery substance if they are being used to abuse Adderall. Maintaining a constant supply of Adderall can be expensive. A person struggling with an Adderall addiction may have trouble taking care of their financial responsibilities. Over time, obtaining Adderall becomes more important than activities that they previously had no trouble affording. Eventually, they may have difficulty paying utilities, affording food, and may even have their utilities disconnected. People who struggle with addiction tend to spend a lot of time seeking the drug they are abusing. As tolerance develops (a person has to take more of the drug to feel the same as they did with lower doses of the drug) a person will likely use more of the drug. When they begin to take more of the drug, the person may run out of their supply. A person struggling with Adderall addiction who is doctor shopping will usually take many trips to different doctors in an attempt to gain access to several different prescriptions for Adderall at the same time. During the appointments, the individual may fake symptoms or pretend existing symptoms are worse than they truly are. They do this to get a higher milligram dosage, a prescription for more pills at once, or they may be trying to make sure they get the prescription at all. The person also will visit different pharmacies in an attempt to fill these Adderall prescriptions at one time. A person misusing their Adderall prescription may claim that they have lost their medication and that is why they need more. If they think you also have a prescription for Adderall, they may openly ask you for some of your medication, or they may just steal your prescription from you. This excuse is often used by people who abuse their personal prescriptions and run out. It tends to be the response when they are questioned by loved ones about why they are doctor shopping, have multiple prescriptions written for the same medication, visiting multiple pharmacies, asking for or stealing others medications, or purchasing the drugs off the street. This excuse is a red-flag for Adderall abuse. A person who constantly has missing Adderall may be struggling with a substance abuse disorder. Additionally, a person who claims to have had their medication stolen from them without reporting it to the authorities is likely struggling with an Adderall addiction. Purchasing Adderall online is not uncommon. If a person has attempted to gain access to additional amounts of Adderall, and failed, they might attempt to purchase it from other countries online. Exploring the online search history may expose this and other questionable patterns. If a person is seeking multiple doctors, searching for information about specific drugs and other similar drugs, or looking up several different pharmacies, it may be in the online search history. There may also be a cause for concern if a person’s search history is completely blank. A blank search history means that it has been erased. Paranoia and secretive behaviors are both indicators of substance abuse, and deleting one’s search history may indicate that a person has something to hide. If your loved one seems to be struggling with an Adderall addiction, there are treatment options available. As with other substance use disorders, professionals do not recommend that a person attempt to stop on their own. A treatment center that provides a detoxification program can help relieve many of the uncomfortable withdrawal symptoms associated with Adderall abuse or addiction. Please reach out to us today so we can help you and your loved one. You Asked: What Does Adderall Do To Your Body? Fill out the form below and one of our compassionate treatment specialists will reach out to you soon and help you start the path to recovery.